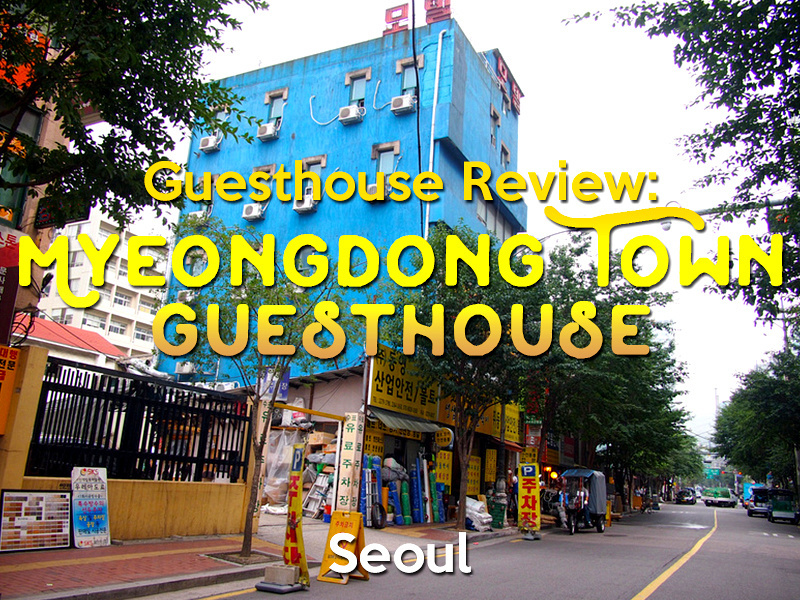 I stayed at the Myeongdong Town Guesthouse in Seoul. This was my first time in Seoul I didn’t have a clear idea of which area is the best place to stay in this massive city. I saw this was near the Cheonggyecheon Stream which I planned to visit, and I read that it was near major shopping areas, so that helped me decide. The Myeongdong Town Guesthouse is near a metro station and a few stops from the Seoul central station, so it was easy to get to. Streets in Seoul are clearly marked in English and easy to find on Google Maps. 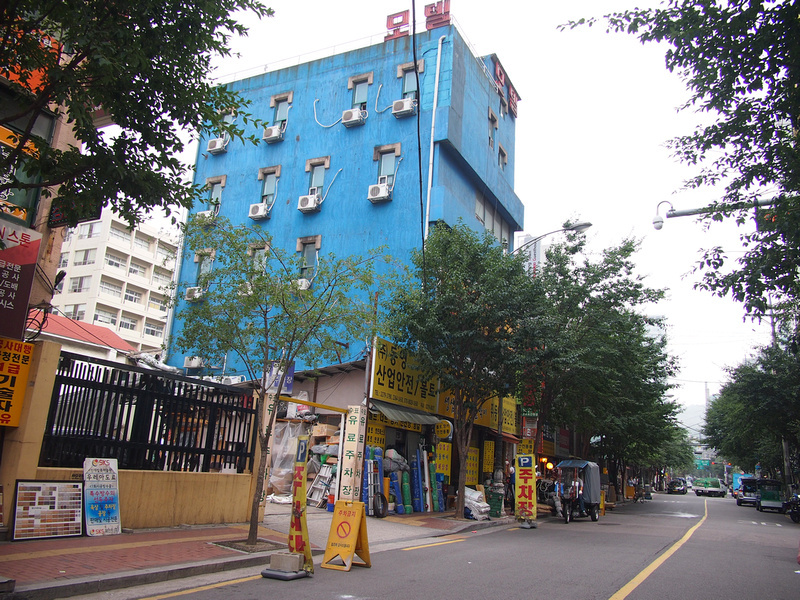 The guesthouse is in a tools and hardware precinct and is housed in an old building on Supyo-ro street. I arrived on an early morning flight so I left my bags until check-in time at 3pm. I stayed for three nights, and the only time I saw someone at reception was when I arrived in the morning. They wanted to charge me 10% extra for using a credit card, so I ended up paying cash. I’m glad I didn’t fall for that scam, because I ended up using my card everywhere in Seoul (even for a single purchase at 7/11) and nowhere added credit card surcharges. There are lots of hostels in Seoul but I wanted a private room for this trip. 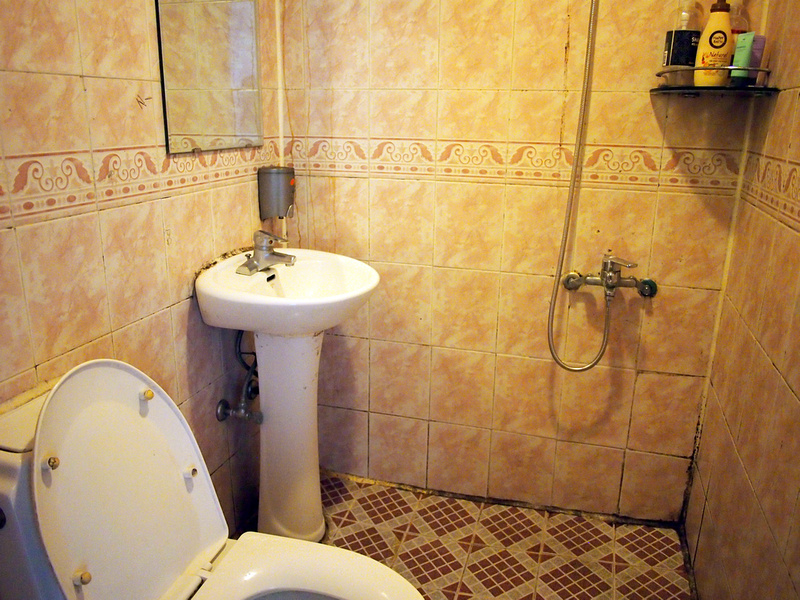 I booked a double room with private bathroom. The room was just enough room for a double bed and desk, and some space on the floor for bags. The bed was comfortable, though the sheets were not quite big enough so they always ended up being undone after each nights sleep. The bathroom had no window and the tiles were moldy. It didn’t smell of fungal growth but there was enough of it to make the room feel unclean. One thing I noticed about South Korea is they take fire safety seriously, which is a nice change of pace for someone who is based in Southeast Asia. 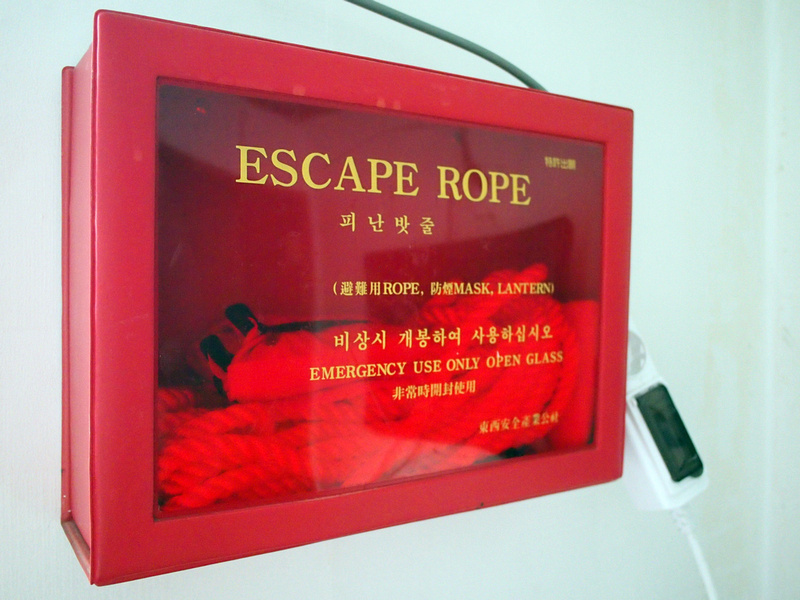 I have seen smoke masks in hotels in China, but I never seen escape ropes as part of the fire contingency. Grenfell Tower was still fresh in my mind when I stayed here, though such a rope is only useful for low rise towers. There is free wifi in the guesthouse, and it was the gloriously fast internet that South Korea is famous for. There is no breakfast or any food service here. The location was a great spot for exploring, especially being near the Cheonggyecheon Stream. There are a good selection of cheap eats and cafes nearby. 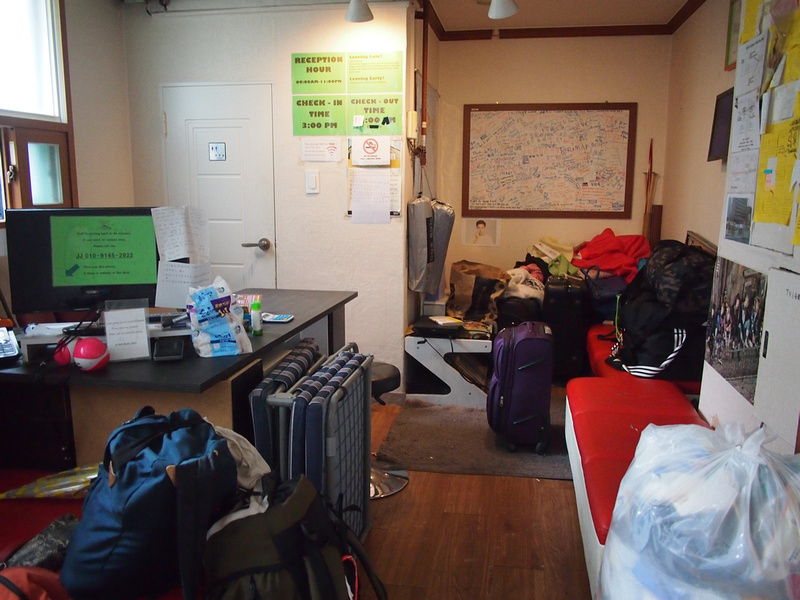 Overall the Myeongdong Town Guesthouse felt a bit old and worn out, and the bathroom needed major scrubbing. As it was my first time in Seoul I spent most of my days wandering so I didn’t linger in the room. If you just want a cheap private room rather than staying in a hostel then this was ok for that. 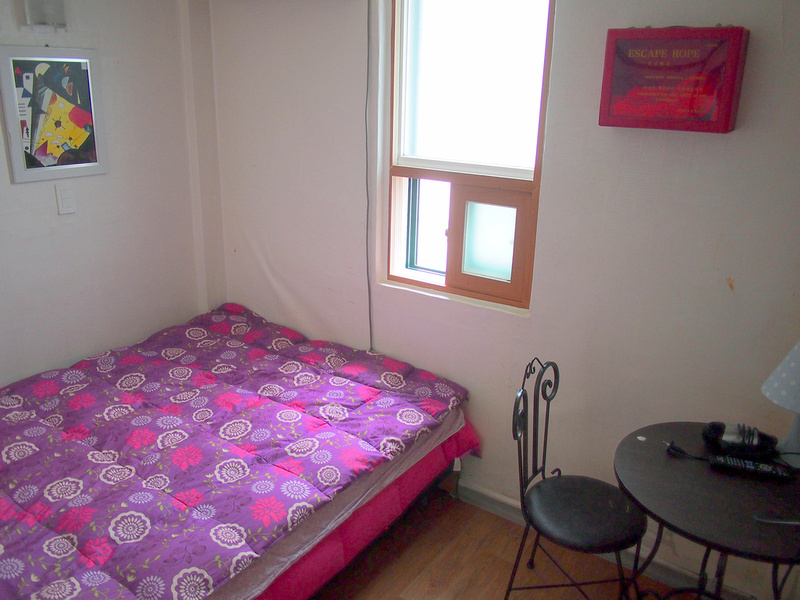 Book the Myeongdong Town Guesthouse online or search for more hotels in Seoul.